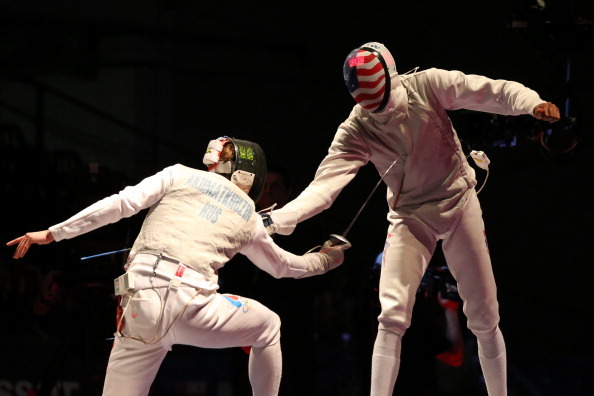 August 9 - The United States has struck gold at the 2013 World Fencing Championships after a day of shocks at the Syma Event and Congress Centre in Budapest. None of the top-seeded fencers in the men's foil competition made it through to the semi-finals, and the competition ended with world number six, Artur Akhmatkhuzin of Russia taking on the US' Miles Chamley-Watson in the gold-medal match. The outcome was never in doubt, with Chamley-Watson surging ahead to win convincingly 15-6 and make fencing history as the first US world champion in men's foil. In the women's sabre, London 2012 bronze medallist Olga Kharlan of Ukraine reached the gold-medal match after edging out South Korea's Kim Ji-Yeon, the reigning Olympic champion, in an extremely tight semi-final. Kharlan seemed to be racing away with gold against Ekaterina Dyatchenko, another Russian finalist, only to be pegged back to 12-all before summoning up a grandstand finish to take the match 15-12. It was the consistent Ukrainian's fifth-straight podium position at a major event, but her first individual title. Yesterday, Estonia took both individual gold medals in the épée events, with Nikolai Novosjolov triumphing in the men's competition and Julia Beljajeva coming out on top in the women's.